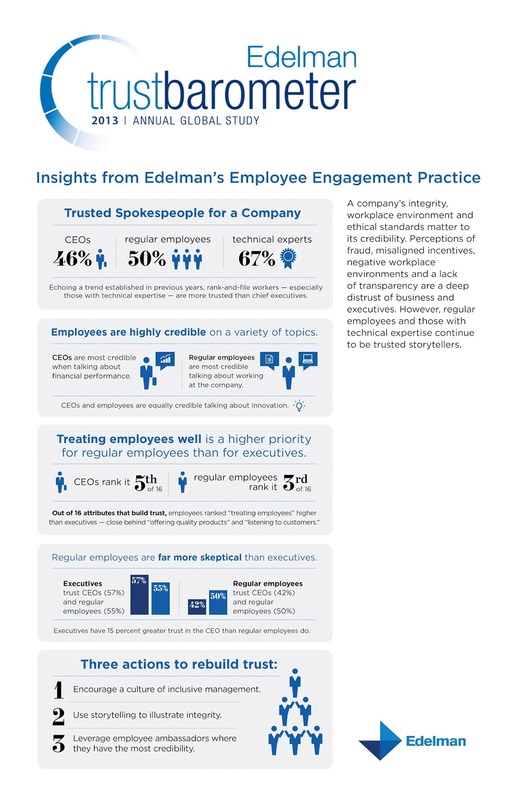 Today my team at Edelman released our employee engagement-specific results from the 2013 Trust Barometer, a global trust and credibility study the firm publishes each year. I was fortunate to be involved in the creation of this year's white paper, which goes by the pithy title, A Question of Integrity: Engaging Employees and Executives as Storytellers on Corporate Values, Ethics and Integrity. You can also check out our infographic and PPT presentation, watch my London colleague Nick Howard offer an EMEA-centric perspective on the findings in this video, or catch yours truly opining about the results from a US point of view. 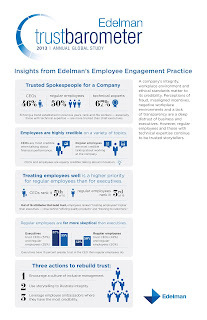 Employees, particularly those with technical expertise, are highly trusted on a variety of topics (especially when it comes to the company's working environment and employee programs), even more so than CEOs and official company spokespeople. “Treating employees well” is a higher priority for rank-and-file employees than for executives, with executives ranking “treating employees well” fifth most-important of 16 actions a company can take to build trust, while regular employees put it high up at third. Regular employees are far more skeptical than executives across the board: They are 15 percent less likely to trust the CEO than those in in top leadership positions and oddly enough, regular employees trust even each other less than executives do. Describe a time you learned the importance of a specific value during your childhood. 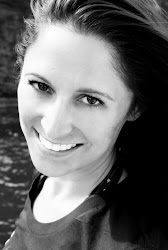 Tell me about one of your mentors or role models and something they did to earn your admiration. Talk about a situation in which you were asked to compromise a certain value and how you responded.